The study, which was conducted at the Van Andel Research Institute in Grand Rapids, Michigan, found that Parkinson’s disease may be triggered, at least for some people, by a gut protein that collects in the appendix.1 These findings were based on an analysis of the medical records of close to 1.7 million men and women in Sweden’s national health database, going back as far as 1964. Therefore, it would appear that the majority of us have stores of alpha-synuclein in our appendix, but the current study doesn’t clarify what the trigger may be that makes it affect the nerve cells of the brain in some people. Scientists have been aware that there might be a connection between the gut and Parkinson’s since gastrointestinal issues such as constipation, bloating, and nausea are common in many sufferers years before any signs of Parkinson’s appear. The findings are also in line with those of an earlier study which took place in 2017 at Duke University in Durham, North Carolina, showing that alpha-synuclein resides in intestinal cells that are connected to nerve pathways.2 There are theories that alpha-synuclein makes its way from the appendix to the brain via the vagus nerve. But again, we don’t know why it might travel in some people and not others. But regardless of the exact method of transmission between the nervous system, appendix, and intestines, we know that the gut microbiome influences our health in many ways. 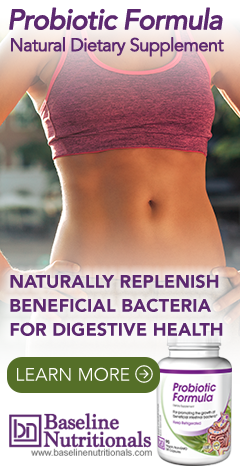 In fact, a 2007 study at Duke University Medical Center in Durham, North Carolina uncovered a link between the appendix and beneficial bacteria in the intestinal tract.3 The appendix contains immune system tissue and may serve as a storehouse for beneficial gut bacteria. But perhaps, in some people, it harbors large populations of harmful bacteria. And in those people, the appendix becomes overrun and releases damaging alpha-synuclein. 1. Killinger, Bryan A.; et al. "The vermiform appendix impacts the risk of developing Parkinson's disease." Science Translational Medicine. 31 October 2018. Accessed 4 November 2018. http://stm.sciencemag.org/content/10/465/eaar5280. 2. Chandra, Rashmi; et al. "a-Synuclein in gut endocrine cells and its implications for Parkinson's disease." JCI Insight. 15 June 2017. Accessed 5 November 2018. https://insight.jci.org/articles/view/92295. 3. Bollinger, R. Randal; et al. "Biofilms in the large bowel suggest an apparent function of the human vermiform appendix." Journal of Theoretical Biology. December 2007. Accessed 5 November 2018. https://www.sciencedirect.com/science/article/pii/S002251930700416X. My cousin has had Parkinson 's disease for several years. She "HAD" the tremors but she is now taking CBD from Charlotte's Web and has absolutely no tremors at all. It took time to get the correct dosage along with lowering the dosage of med from dr. but she is doing great now. At first sit erect and with the thumb and index finger of your right hand press the lobe of your left ear and with left hand's thumb and index finger right ear's lobe. Then press lightly both the lobes, the motion should be press and release and rhythmical not pressing at a stretch. Press at least fifty times twice a day. The food should be devoid of alcohol, tea and coffee, cough syrup which contains caffeine or which makes one drowsy. Food should preferably be vegetarian, it is better to give up totally non-veg items, intake of fruits and vegetables to be increased with dry fruits. Water to be taken in plenty. Result may not be visible quickly, but not to give up the exercise and within six months the changes begin to manifest. In homeopathy Antim Crude and Lolium T are also good remedies to help arrest the symptoms of Parkinson's disease.